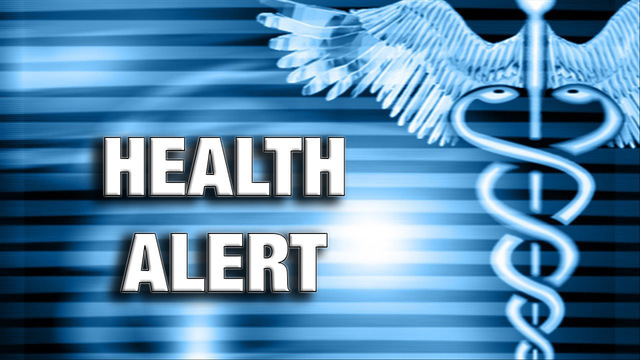 The Loudoun County Health Department has issued an alert about two specific locations where residents could have been exposed to a person with measles in recent days. Health officials are seeking to identify people who may have been exposed. Monday, Aug. 20, at the 2 Riverbend Building at 44084 Riverside Parkway in Lansdowne, between 1 and 5 p.m.
Health officials stated they were not aware of any other Virginia locations or dates where exposures may have occurred. Measles is a highly contagious illness that is spread through coughing, sneezing, and contact with secretions from the nose, mouth, and throat of an infected individual. Measles symptoms usually appear in two stages. In the first stage, most people have a fever of greater than 101 degrees, runny nose, watery red eyes and a cough. The second stage begins around the third to seventh day when a rash begins to appear on the face and spreads over the entire body. Based on the date of exposure, the Health Department determined that anyone infected with measles could develop symptoms as late as Sept. 10. If you have received at least one dose of measles, mumps and rubella (MMR) vaccine in the past, your risk of being infected with measles from any of these exposures is very low. If you have never received MMR vaccine, you may be at risk of measles. If you notice the symptoms of measles, immediately limit your exposure to others. Please call your primary health care provider to discuss further care. Call ahead before going to the office or the emergency room and tell your primary health care provider’s office that you were exposed to measles. Residents who believe they may have been exposed to measles at these two locations on the dates and during the time frames indicated, and have never received an MMR vaccine, should call 703-771-5512 and leave a message with their contact information and a Health Department representative will follow up. According to the Health Department, measles is easily preventable through safe and effective MMR vaccine. The best protection against future measles cases is the on-time vaccination of all susceptible persons. Two doses are recommended for most individuals with the first dose given at age 12-15 months and the second prior to kindergarten entry (age 4-6 years). For more information on measles, go to the Virginia Department of Health website.